I refer to the statement by the Chairman of the Housing Development Corporation that they are likely to take legal action against me for allegedly distorting the facts of the AG’s Report 2016, thereby ‘aggravated the image of HDC’. I fully welcome this novel initiative by the Chairman, as the trial will provide full opportunity for all parties to delve deeply into the facts of the matter and examine in full the details of the unsatisfactory findings of the AG in the Report. We may be presented with the chance to request for better and further particulars of each instance of unsatisfactory finding. 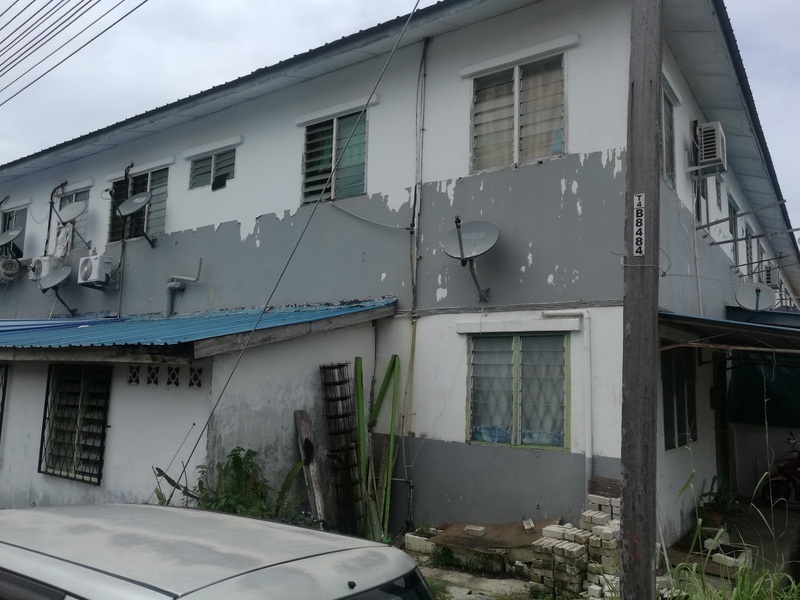 Our Miri MP Dr Michael Teo and Wanita deputy chief Voon Shiak Ni had made numerous site visits to the flats in Miri mentioned in the report for which RM2.88 mil was paid for painting and repairing works found not executed, or carried out defectively or not done in accordance with the requirements of the job scope. The flats are in bad condition and some parts are even cracking up and chipping off. There are real problems on the ground and the Chairman should direct his energy towards rectifying these and improving oversight rather than threatening the opposition with legal action. Interestingly, it was reported today that the MACC had arrested 2 HDC staff in connection with the failure to carry out the painting job. Obviously, the MACC must have had reason to believe that the HDC was implicated in this impropriety, otherwise they would not have carried out these arrests. Therefore, the Chairman is jumping the gun to protest the HDC’s innocence. On our part, we welcome the investigations by the MACC and stand ready to assist in every way possible. The HDC’s challenge on firstly, the AG’s Report, and now, the MACC’s investigation, is an eye opener on the Housing Commission’s defiance of the statutory duties of the institutions clothed with the power to check on accountability and integrity of public spending, abuse and misuse of power and corrupt practices by the public authorities. iii. Payments amounting to RM33.40 million were made by HDC to suppliers without being verified by an authorised officer: supplier invoices for 3 progress payments amounting to RM10.33 million were not original but were unacknowledged copies; 4 progress payments amounting to RM2.30million not supported by suppliers invoices from the contractor; six payment vouchers amounting to RM20.77 million were also not supported by payment certificates. vi. Replacement of timber roof fascia and painting thereof: no replacement done, just painting of rotten/broken fascia boards. We urge the MACC to investigate fully all these findings and bring those responsible to account if there is evidence of wrongdoing, especially since this involves a large sum of taxpayers’ money. It is rather disingenuous of the Chairman to suggest, in the context of this threatened suit, that the HDC is merely in charge of opening tenders to contractors and disclaiming any responsibility for the highlighted shortcomings, and at the same time assuring the MACC and the public that the HDC is committed to upholding transparency and accountability, and pledging to assist the MACC in their investigations. Perhaps at the board meeting of the HDC, the board should obtain sound legal advice on the consequences of breach of statutory duties, misfeasance and breach of fiduciary duties before they make any decision. It would be best if their attempts at damage control be directed at their internal procedures and controls rather than at shooting the opposition for merely highlighting their shortcomings as revealed by the Auditor General. The Chairman doth protest too much, methinks. BN's complete betrayal of non-Muslims!